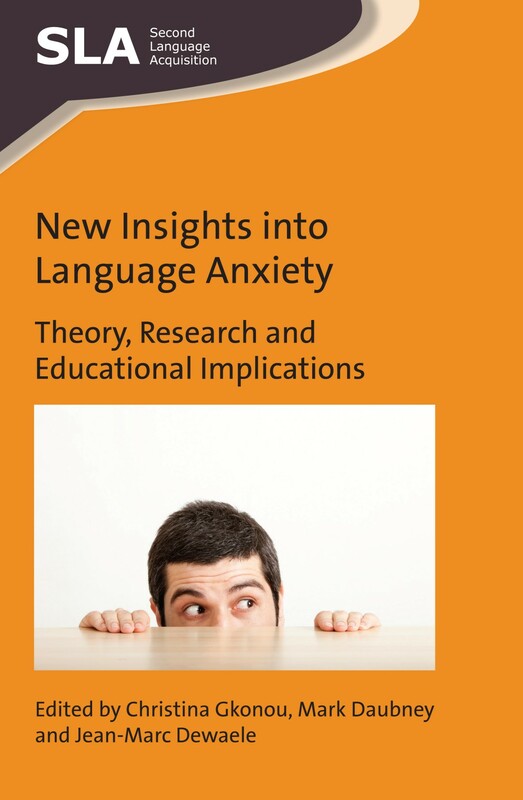 This month we published New Insights into Language Anxiety edited by Christina Gkonou, Mark Daubney and Jean-Marc Dewaele. In the first of three posts, one from each of the editors, Jean-Marc introduces his theory on language anxiety being like fresh snow. You may have noticed them: foreign language students hunched behind the broad backs of their comrades, avoiding eye contact with the teacher in order not to be picked to say something in front of everybody and reluctantly whispering their response to a teacher’s question when cornered. No questionnaire is needed to identify these students as suffering from Foreign Language Anxiety (FLA). This complex phenomenon has been linked to a range of higher order personality traits (mainly Neuroticism-Emotional Stability, Introversion-Extraversion or Social Initiative, and – to a lesser extent – also Psychoticism, Conscientiousness, Openmindedness, Cultural Empathy) and a number of lower-order personality traits or psychological dimensions (Trait Emotional Intelligence, Perfectionism, Trait anxiety, Unwillingness to communicate, Risk-taking, Sociability and Self-efficacy) (Dewaele, 2017). These factors interact with a range of sociobiographical and situational variables and cause FLA in reading, writing, listening and – especially – speaking the foreign language (FL). It is important for teachers and students to realise that FLA is not a massive, granite-like, unmovable object blocking the path to communication in the FL. I’d rather compare it to a thick layer of fresh snow. It is possible to dig through the snow, to ski over it and some comfort can be drawn from the knowledge that it will melt after a while. This turns the teacher into a (metaphorical) FL ski instructor for anxious students. Yes, the snow is slippery and there can be icy patches but there are techniques to avoid obstacles, to accelerate or to brake and to reach one’s destination unharmed. Everybody falls over at some point along the way, but the snow is soft and there is little risk of breaking a limb at low speed. The instructor and peers will help those whose skis got entangled and ended up looking at the cumuli in the blue sky. Back on their feet and feeling the rush of fresh pine-scented air, discovering the breath-taking mountain views, the memories of the fall will fade quickly. Finally, reaching the destination with the rest of the group will be exhilarating and the sense of achievement will boost self-confidence for future runs. In other words, a FL teacher can create a classroom atmosphere where mutual trust exists between teachers and students and between the students themselves. Good teaching combined with respect, humour and kindness can create a strong sense of solidarity among students, which will be a potent antidote against FLA.
Dewaele et al. (2017) found that FL teachers’ behaviour had relatively little influence on British secondary school students’ average levels of FLA but that it was strongly linked to students’ FL enjoyment. FL students who enjoy themselves are thus more likely to overcome their fears, just like the beginner on ski slopes. Those still experiencing FLA can be cajoled into more active participation in FL tasks they can handle. 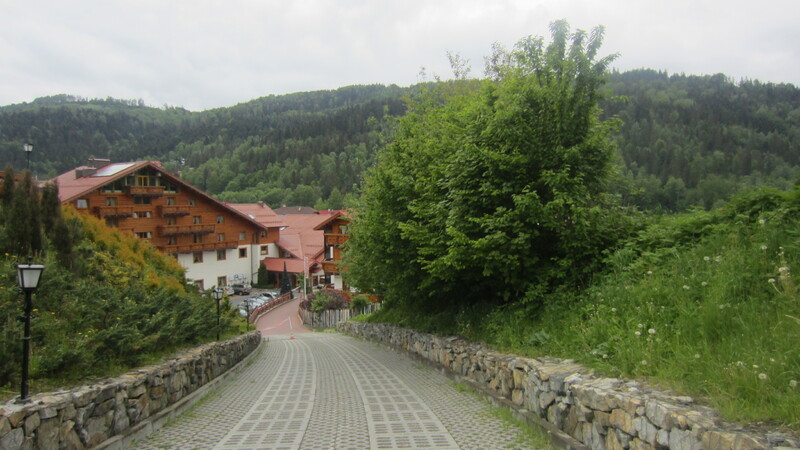 The first slopes should not be too steep and too anxiety-provoking. These anxious students will learn that it is possible to control their FLA to the point that is ceases to have a debilitating influence on their performance. Dewaele, J.-M. (2017) Psychological dimensions and foreign language anxiety. In S. Loewen & M. Sato (Eds. ), The Routledge Handbook of Instructed Second Language Acquisition. London: Routledge, pp. 433-450. Gkonou, C., Daubney, M. & Dewaele, J.-M. (eds.) (2017) New Insights into Language Anxiety: Theory, Research and Educational Implications. Bristol: Multilingual Matters. For more information about this book, please see our website and keep an eye out for parts two and three from Jean-Marc’s co-editors. If you found this interesting, you might also like Positive Psychology in SLA edited by Peter D. MacIntyre, Tammy Gregersen and Sarah Mercer. In the second of a two-part blog post, the authors of our recently published title, Optimizing Language Learners’ Nonverbal Behavior, Tammy Gregersen and Peter D. MacIntyre discuss the innovative use of videos to accompany their book. Even the thought of it is ironic – to write a book about nonverbal communication. Although it obviously is possible, there is something extraordinary about describing nonverbal actions using printed words on a page, so when we set out to do this project for Multilingual Matters, we wanted to add a visual dimension to the printed words. In our 2014 book, Capitalizing on Language Learner Individuality, we wrote about technological modifications to various classroom activities to make them more accessible to teachers and students who are using modern technologies, and also to increase the value of the book to readers. We wanted to do the same with Optimizing Language Learners’ Nonverbal Behavior. With respect to the book on nonverbal communication, after much discussion we settled on the idea of adding a 68-video library to the book. Multilingual Matters agreed to host the videos on their website. The University of Northern Iowa provided a grant to fund video production and we were fortunate to find an outstanding producer in Blake Lybbert and two musical wonder groups, “Amelia and Melina” and “John June Year”. They gave us permission to use their original music to provide a cool background vibe. Tammy asked students, family and friends to volunteer to demonstrate a variety of nonverbal actions to better capture the nature of nonverbal communication and as viewers, to be able to watch them. We are certain the audience will sense the fun that everyone had in participating! We did not see this sort of video in any other nonverbal text and thought it was an interesting innovation that would better capture the essence of our topic. But then it hit us – could the e-book version possibly link to the videos? If possible, a reader could be reading the book on a computer, tablet or similar device, then click the video to watch the demonstration, and seamlessly continue reading. This allowed us to have both movement and sound inside the e-book. When the publisher sent us the draft e-book it was more than impressive. It is absolutely amazing to be reading about a specific nonverbal action and then watch it move in full colour, with sound, and an added narration for explanation. This unique approach sets the book apart from other texts in the market. We are thrilled with the result and hope that readers will be able to check out the e-book version of the text to see for themselves what is possible to do these days in a text about nonverbal communication. For more information about this book, please see our website. All the videos that accompany the book can be found on our YouTube channel. If you found this interesting, you might like the other books Tammy and Peter have published with us, Capitalizing on Language Learners’ Individuality and Positive Psychology in SLA (co-edited with Sarah Mercer). 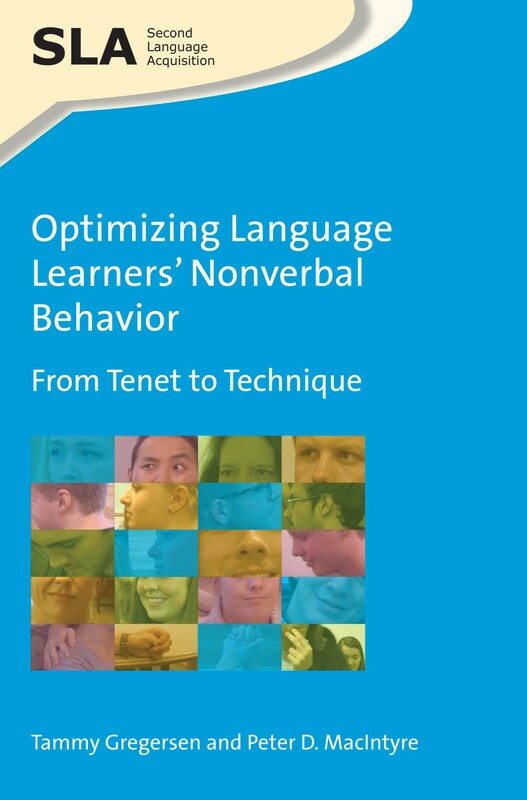 This month we published Optimizing Language Learners’ Nonverbal Behavior by Tammy Gregersen and Peter D. MacIntyre. In the first of a two-part blog post, Tammy and Peter explain what inspired them to write a book about nonverbal communication. Long before I ever read literature on Emotional or Interpersonal Intelligence, I anecdotally surmised that those individuals who had “people smarts” simply were those people who could read others’ nonverbals. They could make the initial acquaintance of a person and within milliseconds of their interaction, these people-savvy folks were able to pick up the other’s vibes and effectively act accordingly. Whether through conscious inspection or subconscious osmosis, I knew in my gut that such mind-and-body-language readers were gifted with the instantaneous interpretation of the bombardment of nonverbal cues that characterize all human interaction. I was hooked, and my curiosity about this phenomenon propelled me to investigate it further. But now I get ahead of myself…my nonverbal intrigue actually started long before I could even process the simplest of thoughts. It began with my relationship with my dad – which means within hours of being born. If you read the Dedication Page of Optimizing Language Learners’ Nonverbal Behavior, I used this opportunity to honor my father. It says in part, “To my father, F. Neal Gregersen, who, had it not been for his characteristic silence, I would never have understood the awesome power of nonverbal communication.” You see, my dad is a man of very few words, so if one wants to have a verbal conversation, it often turns into a monologue. However, one would be gravely mistaken to think that he doesn’t communicate. Although he doesn’t often use language, those of us who know him well only need to see the smallest change in his demeanor to know exactly what he is thinking. As I was growing up, his only means of discipline was what the five of us kids deemed, “The Look”. Whenever we were the recipients of it, we immediately shaped up. Hence, I understood early in my life the immense power of nonverbal cues and I wanted to know more. That was then and this is now…. It was my first semester at university, one of our assignments was to do a review of a research paper. I chose a paper by Professor Nancy Henley on ways in which nonverbal communication relates to interpersonal power – the doctor touches the patient and not the other way around because the doctor is in a position of power. It was nothing short of a revelation! Other examples in Henley’s work brought to light the complexity of everyday communication. At the time I was taking courses in Psychology and Interpersonal Communication, and Henley’s work forged such a fascinating bridge between the disciplines, I’ve been hooked ever since. It is powerful to realize that I was a full and active participant in a process that had never been explained overtly, but I knew the rules – everybody knows the rules. I wondered, how is that possible? I am sure many readers of this blog have had a similar experience in doing research on a topic – a process that is right in front of you is explained in a new way. But there is something unique about nonverbal communication, it is so ubiquitous and so effective in conveying information, yet it seems so natural. When we then add the idea of language and culture into the mix, and that sometimes people in different places have different ways of doing things, nonverbal communication becomes all the more interesting. Like Tammy, I am dedicating this book to people who taught me a lot about nonverbal communication, my teachers and especially my mother. Unlike Tammy’s dad, my mom had no trouble with verbal communication, but for her the message was all in the tone of voice. I can vividly recall when I said that I didn’t want to do some chore, she would say “never mind.” By conventional definition, the words said I was off the hook but the unmistakable tone meant I had better get to it. 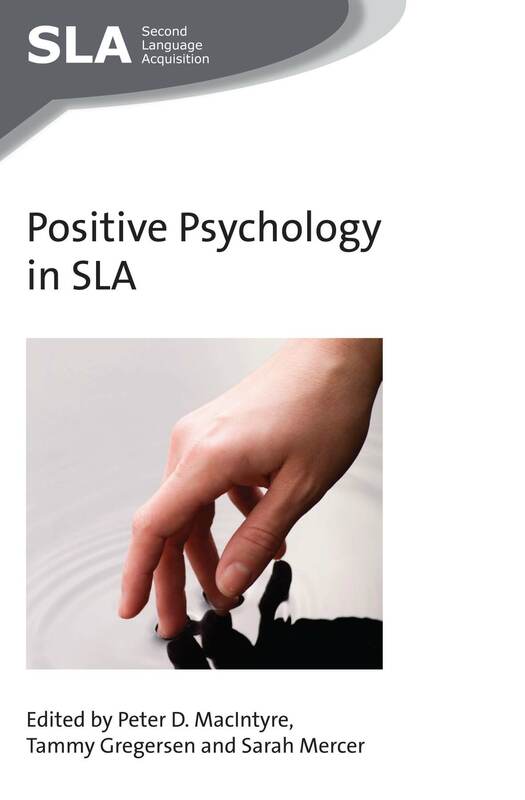 This week we have published Positive Psychology in SLA edited by Peter D. MacIntyre, Tammy Gregersen and Sarah Mercer. In this post, the editors tell us a bit more about how the book came together. We are proud of this book, and very pleased to see it in print. We think that the book will appeal to a variety of audiences, especially teachers and researchers. From a macro-perspective, the book opens up a treasure chest full of gold coins, concepts that language teachers and researcher will eagerly engage with – from grit and perseverance, to developing social capital through language, to new ways to look at the self. This is not a pop psychology book. There are novel and well-defined concepts, rigorous research methods, and specific positive psychology activities that have received research support. When one thinks about the concerns of teachers and learners, there are many good reasons to take a serious look at what makes people thrive and flourish in educational settings. Of course we still need to understand the way negative experiences such as anxiety can disrupt learning processes, but we also need to know how positive emotions such as enjoyment can promote and foster successful learning. The positive dimensions of learners have been somewhat neglected and under-researched in SLA, and this collection opens up a whole new area for reflection and empirical study of that which goes well. The authors have taken account of both the positive and negative, but are emphasizing the positive, drawing it into the conversation in a thoughtful way. 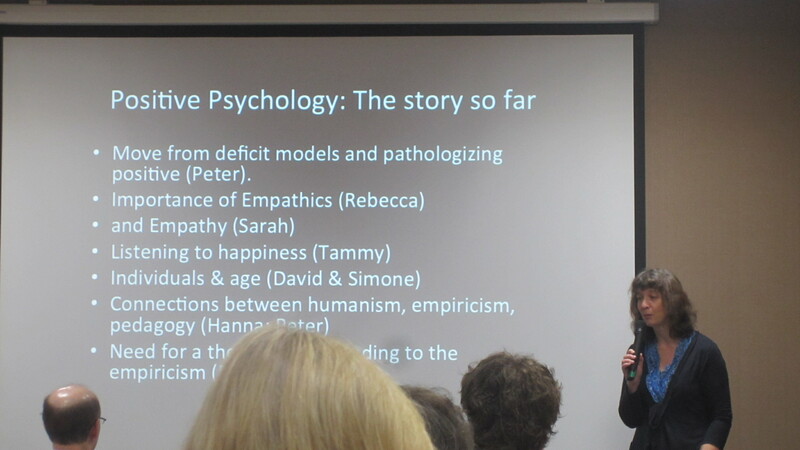 From a researcher’s perspective, a notable dimension of the collection is the mixed methods that appear in the chapters. It reminds us that right now Psychology itself is facing something of a replication problem, where it is being argued that results of foundational studies are not able to be duplicated. In this respect, the applications of Positive Psychology in SLA are already well ahead of Psychology itself in that they embrace a more eclectic mixture of methods. The diversity of methods will allow us to avoid some of the replication problems that arise with strict reliance on a limited range of methods, and help to better contextualize the empirical results. Another aspect of the collection that stands out for us is the blend we have been able to include of theoretical, empirical and practical papers. 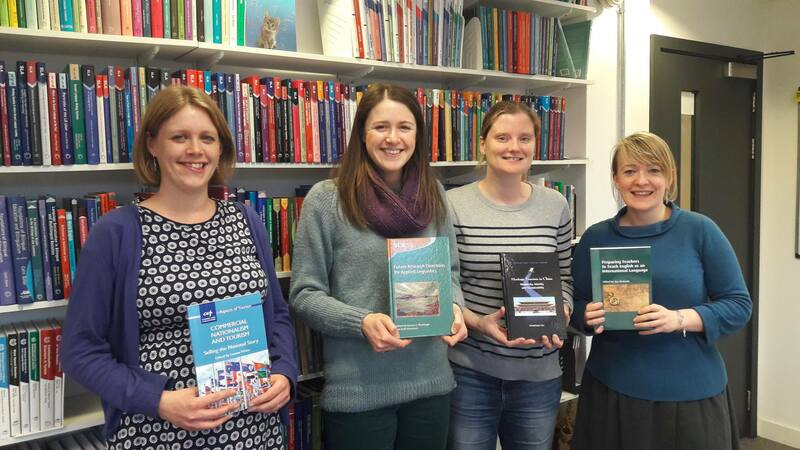 We have been privileged to work with a great collection of authors, researchers and teachers, who shared their thinking, research and real-world practical experiences, ensuring that the collection has far-reaching implications. With authors from around the globe, the collection includes a broad range of content relevant to practitioners and researchers in many different places. When we started thinking about this collection, we did not know how many people might be interested and willing to contribute. We have been thrilled with the response. As it turns out, the volume seems to have hit a sweet spot for several authors. All of us are enthusiastic about the future potential of Positive Psychology in SLA, and ways in which we can understand, study and facilitate the flourishing of language learners and teachers. 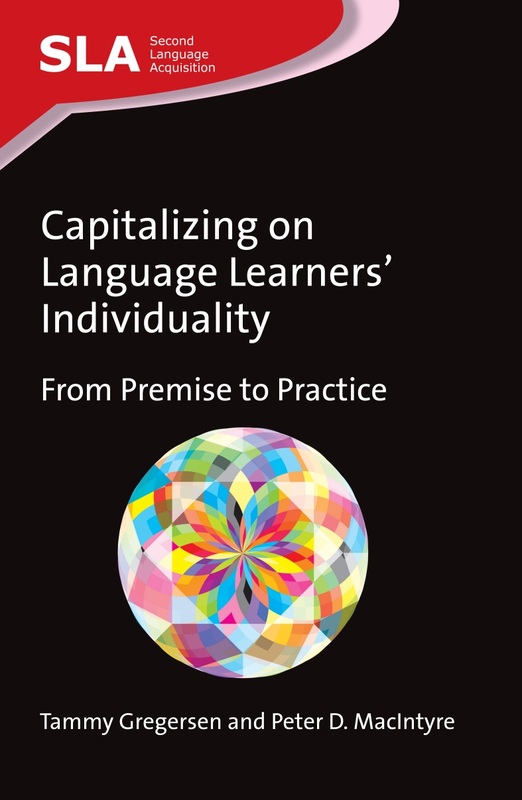 If you found this interesting, you might like to find out more on our website or take a look at the editors’ other books: Capitalizing on Language Learners’ Individuality edited by Tammy Gregersen and Peter D. MacIntyre and Multiple Perspectives on the Self in SLA edited by Sarah Mercer and Marion Williams.